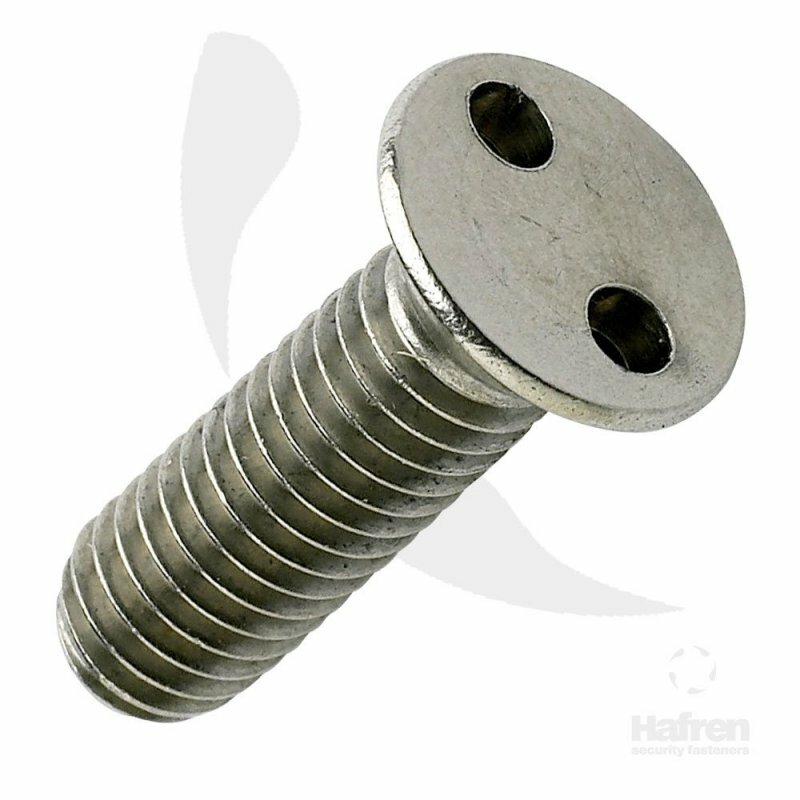 Countersunk A2 Stainless Steel 2-Hole Machine Screw. Popular aesthetically pleasing drive for any two-way application. This drive system, sometimes known as Snake Eye, or Pig Nose is designed for low to medium torque applications. It has 2 holes drilled into the head which requires a unique 2-pin matching driver to install and remove it. This drive system, sometimes known as Snake Eye, or Pig Nose is designed for low to medium torque applications. It has 2 holes drilled into the head which requires a unique 2-pin matching driver to install and remove it.